This particular history – which brings into focus war-driven rupture and conflict-oriented union – is one that was not easily gathered; indeed, what I have recounted portrays a linearity that obscures the true fragmentary nature of such “recollecting.” Faced with incomplete parental accounts, adoption papers, and no memory, I have spent most of my life collecting facts and details in order to make sense of a war that remains – notwithstanding its hypervisibility in Hollywood film and mainstream media – strategically disremembered and tactically forgotten. This impulse to recollect the vast dimensions of the second Indochina War – which involves multiple communities, generations, and formations – is reiterated, revised, and re-envisioned in this section, titled “Collateral + Damage.” While the very notion of “collateral damage” euphemistically suggests unintentional impact and inadvertent loss, the contributors to this section – who likewise access the personal in order to understand the political and bellicose – make clear the degree to which what’s past remains both prologue and epilogue to the ongoing War on Terror and the geopolitical expansiveness of U.S. war-making. 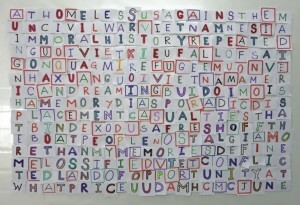 Monique Truong & UuDam Nguyen, MORETHANMYMEMORIESDEFINEME, 2015. The first ten words that you see are what you desire most in your Present, Future, and Past. …what if we understood that war stories disturb even more when they are not about soldiers, when they show us how normal war is, how war touches and transforms everything and everybody, including, most of all, civilians? think of … the collateral damage sustained by the other Others in the circuits of U.S. empire. As “othered” locus, Espiritu considers how the militarized relocation of Vietnamese refugees, who made their way from the country of origin to the United States through Guam, intersects with a larger history of American militarization and occupation in the Pacific. 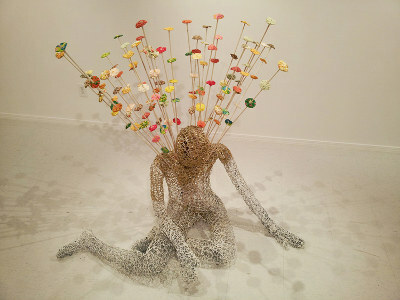 Anida Yeou Ali, Living Camp, 2013, mixed media installation. Image courtesy the artist. These larger histories of militarization – made visible through the optic of “collateral damage” – are at the forefront of Anida Yeou Ali’s “What’s in a Name?”, “Living Memory/Living Absence,” and “In Time of War,” which to varying degrees and related ends poetically evokes the true expansiveness of U.S. war-making in Cambodia, Vietnam, and Iraq. These written contemplations, which vocalize an unreconciled and multi-sited refugee-ness, are analogously reflected and refracted in Ali’s camp-focused photography. As significant context, Ali’s work rehearses, restages, and recollects what most know outside Cambodia as the Killing Fields era. To clarify, between 1975 and 1979, over the course of three years, eight months, and twenty days, under the authoritarian Khmer Rouge, an estimated 1.7 million Cambodians perished as a result of starvation, forced labor, torture, disease, and execution. The rise of the Khmer Rouge was substantively facilitated by the illegal bombings of the Cambodian countryside (1965 – 1973), which profoundly destabilized the nation. 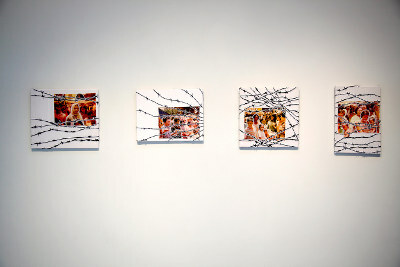 This particular genocide history likewise presages artist Sayon Syprasoeuth’s insistence that – in the face of such profound cultural, social, political, and human loss – a re-imagined return to tradition becomes a resistive Cambodian American act. Sayon Syprasoeuth, Birth of the dragon lady, 2011. Found, ready-made and recycled material, house paint & glitter, 5 feet x 4 feet x 4 feet. Image courtesy the artist. Such re-imaginations of state-authorized violence and excessive military power, which lay bare the extent to which the United States strategically damaged other sites, is at the forefront of Saymoukda Duangphouxay Vongsay’s Kung Fu Zombies vs Cannibals, which is featured via an excerpt. Notwithstanding its imagined future setting (in 2026), Kung Fu Zombies vs Cannibals is very much a “past is present” story that pivots on the cluster bombings of Laos during the second Indochina War. Divergently, Thuy Linh Nguyen Tu’s “What not to Wear in Vietnam” meditates upon the politics and practices of renovation in present-day Vietnam. Such renovation – which encapsulates both the built environment and the beauty industry – is complicated when set adjacent collateral ecological catastrophes like Agent Orange. 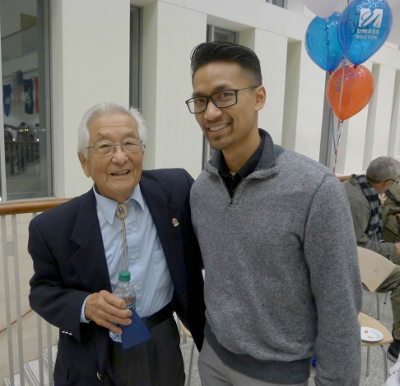 WWII Nisei veteran and 442nd Congressional Gold Medal Recipient Susumo Ito with Khmer American, Iraq War U.S. Marine Corps veteran and Asian American Studies alumnus Richard at UMass Boston’s 2014 veteran’s day celebration. Photo by Peter Kiang, courtesy of UMass Boston Asian American Studies Program.